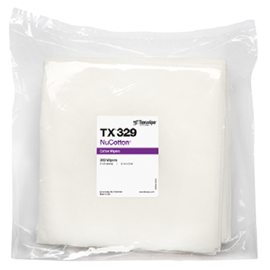 NuCotton® is a strong, double sided 2 x 1 twill cotton wiper made with long staple cotton yarn to eliminate free floating fibers on the fabric surface. Bias cut to minimize fraying. Ideal for high temperature applications, spill removal, work surfaces and static dissipative applications.